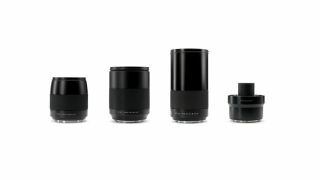 Hasselblad continues to expand the options for users of its X1D-50c mirrorless medium format camera, announcing three new XCD lenses at Photokina 2018, as well as a dedicated teleconverter. The XCD 1,9/80 is the headliner, boasting as it does the widest maximum aperture yet on an XCD lens – f/1.9, allowing X1D users to producer extremely shallow depths of field as well as improving light-gathering capabilities. Hasselblad says the new 80mm lens, which provides a full-frame equivalent field of view of about 63mm, comes bearing ‘superior optical surface precision’, which should mean superior bokeh results and aesthetically pleasing out-of-focus highlights. It uses a twin motor drive which should provide fast autofocus performance in addition to the precise manual focus experience that X1D shooters enjoy. Also on the cards is the XCD 2,8/65. Its 65mm focal length works out to a full-frame equivalent of about 50mm, making it the ‘standard lens’ of the XCD family. It carries a maximum aperture of f/2.8 and a minimum focusing distance of 0.5m, further bolstering its credentials as a solid all-rounder. The XCD 2,8/135 and X Converter 1,7 give the X1D-50c its longest reach yet, providing a combined focal length of 230mm (equivalent to about 178mm on a full-frame camera), with a minimum focus distance of 1.05m and maximum aperture of f/4.8. With the teleconverter detached, the XCD 2,8/135 provides a focal length of 135mm (working out to about 105mm in full-frame terms), a maximum aperture of f/2.8 and a minimum focus distance of 1m. Together, these three new lenses expand the family of optics for the X1D-50c to nine different models, in a range of focal lengths. All three have the same integral central shutter as other lenses in the XCD range, which allows for exposure times of 1/2000sec to 60 minutes and offers full flash sync throughout the entire range. All these models are expected to start shipping in December 2018. The XCD 80mm comes with a price tag of £3,960 ($4,845), the XCD 65mm is £2,090 ($2,750), and the XCD 135mm lens is £3,090 ($4,050) without the teleconverter or £3,690 ($4,845) with it.